Villa Bejar Cuernavaca is a 4.5* family friendly resort located in Cuernavaca, Mexico. It features 69 rooms, swimming pools and spa services. Villa Bejar Cuernavaca features Moorish architecture and is surrounded by beautiful gardens, creating the ideal atmosphere for a relaxing and comfortable stay. Guests can enjoy a swimming pool and a spa where they offer a variety of facial and body treatments. They also have a kids club and game room. 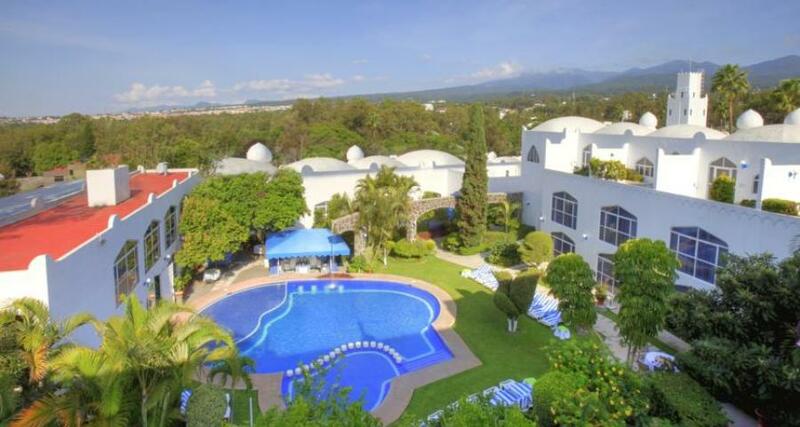 This is the perfect hotel for families visiting Cuernavaca.